We are currently recruiting for a results driven Production Manager to direct operations for my expanding client. Reporting to the Plant Manager, this position is responsible for managing and maintaining all operational aspects of the facility including health and safety, food safety, quality, delivery, productivity and cost control. This position will work along with Management, Quality, Logistics, and Maintenance to achieve company team goals. Role is located halfway between Buffalo and Rochester in WNY. 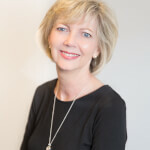 Recruitment professional since 1983, Mary is the first associate of the firm since its inception. Through her many years of experience, she has developed long-lasting professional relationships and has developed an extraordinary network within the food manufacturing industries. Graduate of Hilbert College.